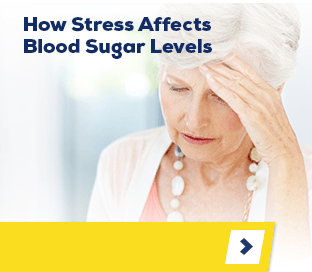 Why Choose Glucerna for Diabetes and Blood Sugar Management? But doesn’t act like one. Glucerna® shakes and bars are more than delicious treats. They’re delicious and nutritious treats that help curb cravings and manage blood sugar*— so you can stay on track. 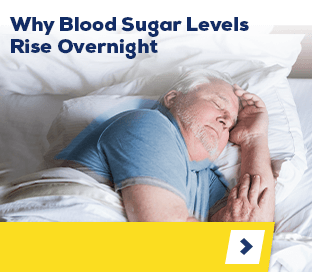 Glucerna produces a smaller peak change in blood sugar and a lower blood sugar response than high-glycemic carbs (like potatoes, bread, and instant oatmeal). In some studies, Glucerna has been compared to instant oatmeal. 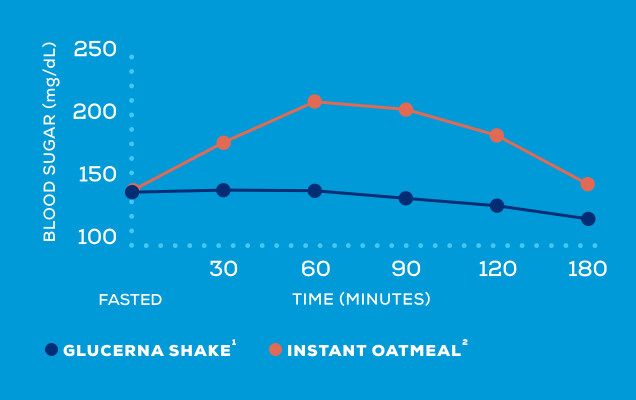 The graph below represents how Glucerna and Glucerna Hunger Smart® shakes produce smaller peak changes in blood sugar and lower overall blood sugar responses than instant oatmeal. 1. Abbott Study BL33, 2017. 2. Devitt AA. Et al. J Diabetes Res Clin Metab. 2012,1:20.